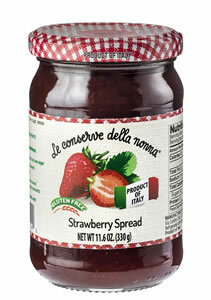 Made with Camarosa strawberry, the best type to get a sweet and tasty jam. Strawberries, cane sugar, lemon 1%. Gelling agent: pectin, acidifying: citric acid. Fruit content 50 g per 100 g of finished product. Total Sugars 50 g per 100 g of finished product.